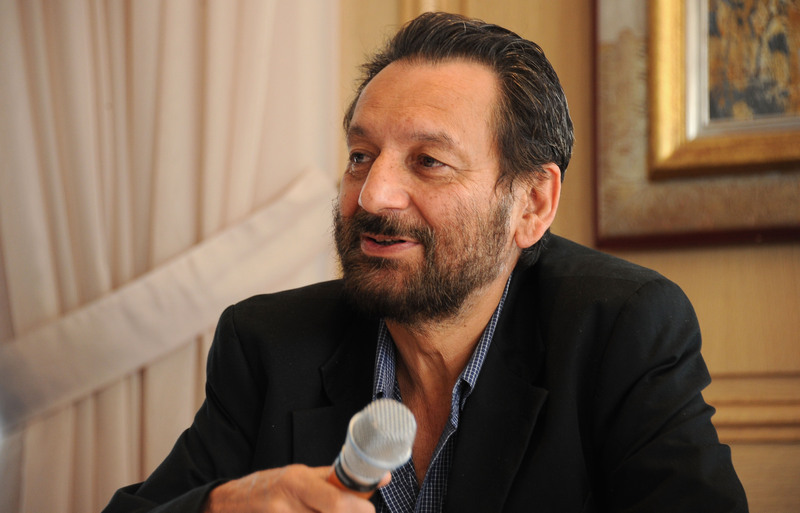 Indian filmmaker Shekhar Kapur (He directed Elizabeth, Elizabeth: The Golden Age, and New York, I Love You, as well as other movies) has a strict new requirement for actors in his upcoming film. Reportedly, he's looking for men, women, and children actors who do not have more than 5 percent body fat. Uh, whoa. "This is an extreme move. It has been done because the film deals with the scarcity of water, and requires actors who are extremely shrunken, physically speaking." Hmm, OK. I get the whole "making a movie about starving people so the actors need to be thin" thing, but I think that specifying that actors need to have 5 percent body fat is extreme. I mean, how are casting people even going to verify that? Weigh everyone who comes into the casting office? Break out the calipers? (I'm sure that's actually been done before, which is scary). Five percent body fat is actually a pretty scarily low percentage, especially considering that 10 percent to 25 percent body fat is considered healthy for adult men, and 18 percent to 32 percent body fat is considered healthy for women. The correlation between body fat percentage and health is fairly controversial (athletes, for example, will have percentages quite lower than the rest of the general population), but experts seem to agree that anything lower than the essential body fat, about 2 to 5 percent for men and 10 to 13 percent for women, can be considered dangerous and unhealthy, depending on an individual's health and body composition. It's also quite possible that the publicity given to this 5 percent-body-fat-or-bust qualification could cause wannabe actors to try drastic weight-loss measure in hopes of appearing in the movie. Apparently, a known actor anonymously told The Times of India that he sent over a photograph of himself for consideration, but was told he'd have to lose weight if he wanted to be considered for a role. He was told to go to a clinic where his amount of "excess fat" could be gauged. Eesh. Although I understand why filmmakers would want a certain "look" for their movies, I still can't get behind this trend where stars like Anne Hathaway and Matthew McConaughey are highly-praised for all the OMGdiscipline it took for them to lose weight for film roles. Plus, stars like those likely have nutritionists and doctors who make sure they're losing weight in the most healthful way possible — is that true for the many actors and actresses Kapur will need for his film?